Nqyer is probably the coolest influencer agency since the beginning of influencers. The team around Julian Mohr creates new branded entertainment format and unites the world’s most powerful brands with today’s most influential opinion leaders. Also, ‘Nqyer’ sounds like ‘NPIRE’, so a groundbreakingly successful collaboration was inevitable. 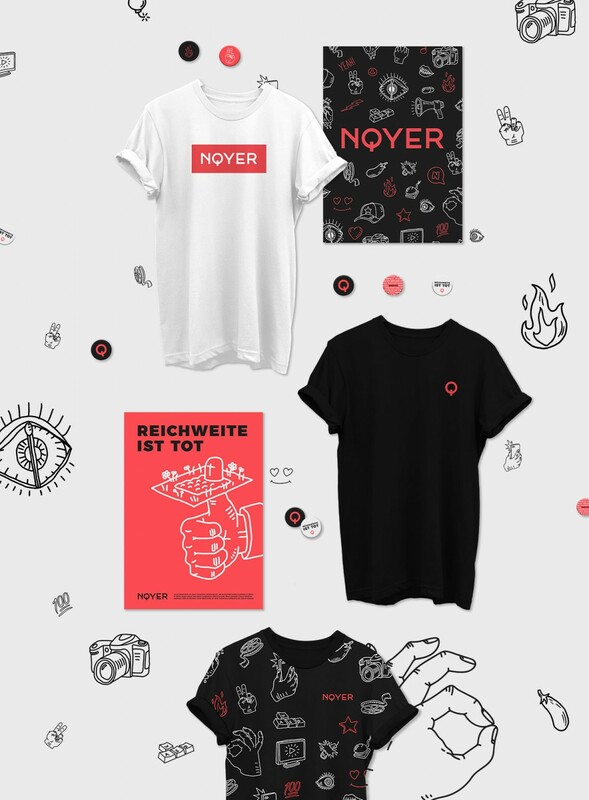 Our job was to freshen up the Nqyer brand – and make it look as cool as the Nqyer team itself. We created a new logo and bold design that focuses on a unique illustration style. The illustrations are inspired by Julian’s tattoos and the motifs revolve around Social Media and internet / pop culture. We then transferred the design to a new website and all kinds of business documents and materials.